It will be hot. 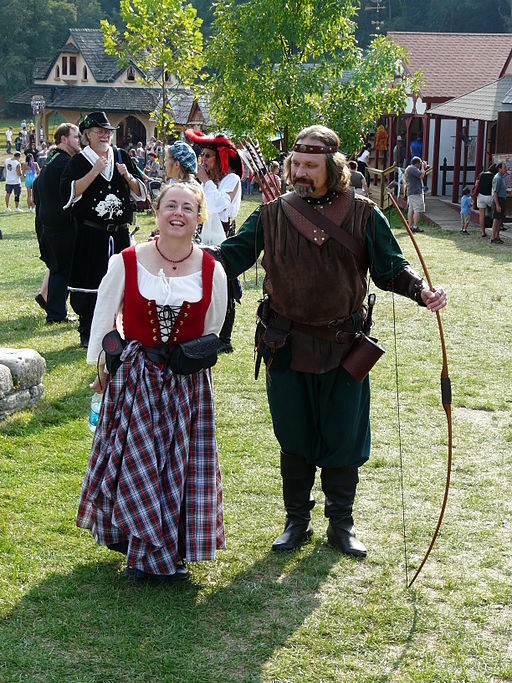 Ren Faires are usually held in July and August. Depending on the location, there may or may not be shade. Drink plenty of (non-cafeinated, non-alcoholic) fluids. It will be weird (in a good way). Guys will bow and call you m’lady. Women curtsy – and flirt. Have fun with it. Join in. Pull out your best Shakespearean/British/Pirate/Celtic/Gypsy accent and play along. It will be fun. 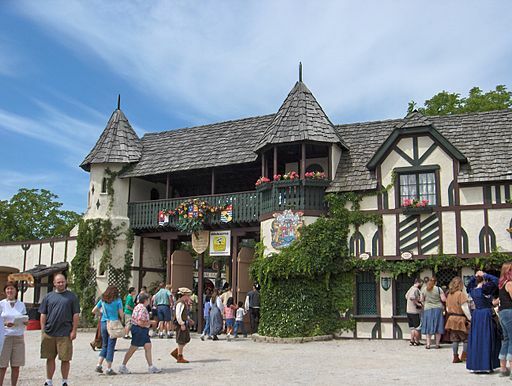 You can expect plenty of shopping at any Renaissance Faire. Most Faires have at least one shop where you can buy garb, or period-esque clothing. Jewelry, swords, and handmade period crafts are all common. If shopping isn’t your idea of a good time, you can also watch the joust or the tournament events (because really, who doesn’t want to sit around on a grassy knoll watching guys with swords beating the daylights out of each other??). Some larger Faires have several stages with a diverse selection of entertainments from storytellers (yay!) to live music to more…erm….crude entertainments. If you’re into that sort of thing, check out The Mud Show at Bristol. It’s quite cringe-worthy. In fact, showing up dressed as the Queen would be a huge breach of etiquette. There’s only one Queen, and she’s an actress hired by the Faire. Moving on…Most people who come to Faire in garb wear some variation of the peasant look. For women, this means one or more full skirts, a chemise (a long undershirt), and a bodice. For men, it’s even simpler. Loose-fitting pants, a poofy shirt, and a leather belt and you’re good to go. Leather boots complete the outfit. 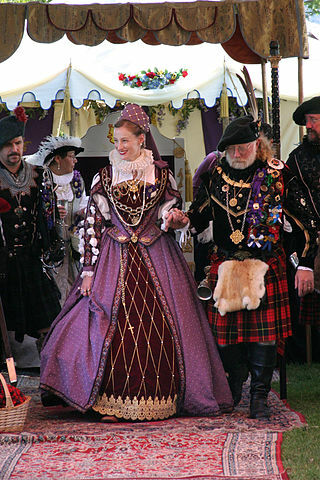 You don’t have to come dressed up in order to have a blast at the Renaissance Faire! Check out the photo at the top of this post – most of the people are wearing modern street clothes. That’s perfectly fine. Nobody is going to think you’re out of place if you don’t have garb. Likewise, you’re unlikely to get weird looks if you show up dressed as a gypsy or a pirate! As promised, I’ve started a new flash fiction serial story! The King is Called Home is a modern fairy tale. After you read it, I’d love your feedback. One of the fun things about a serial story is that it really does change and evolve as the weeks go by, and sometimes those changes come as a result of reader comments. Megan tossed in her bed, unable to sleep. 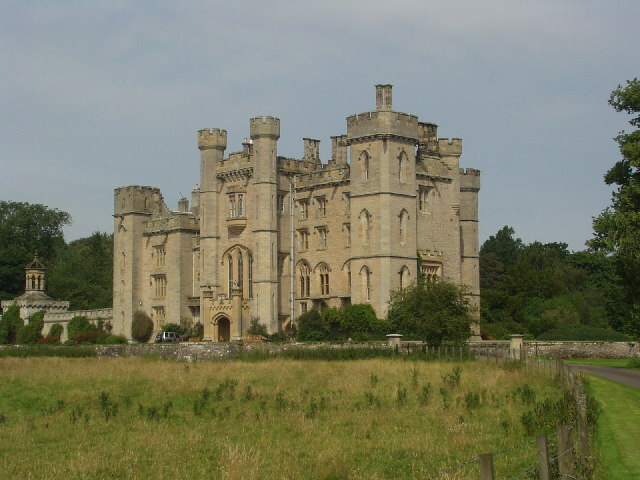 She usually slept well when she visited Castle Scardaugh for the Gathering. Every summer, anyone in Corlaund with even a hint of royal blood descended upon the old feudal palace for two weeks to take part in the festivities. The media loved it, of course, and tourists filled the villages and hotels for miles around to get a glimpse of Europe’s last feudal government in action. Castle Scardaugh, site of the annual Gathering. This year’s Gathering started, as every Gathering for 800 years, with a state dinner designed to give minor nobility their annual opportunity to feel important. Some simply toasted the king and encouraged others to do the same, reminding the gathered nobles that the strength of Corlaund lie in its loyalty. Others gave lengthy rants on the myriad problems of the kingdom. 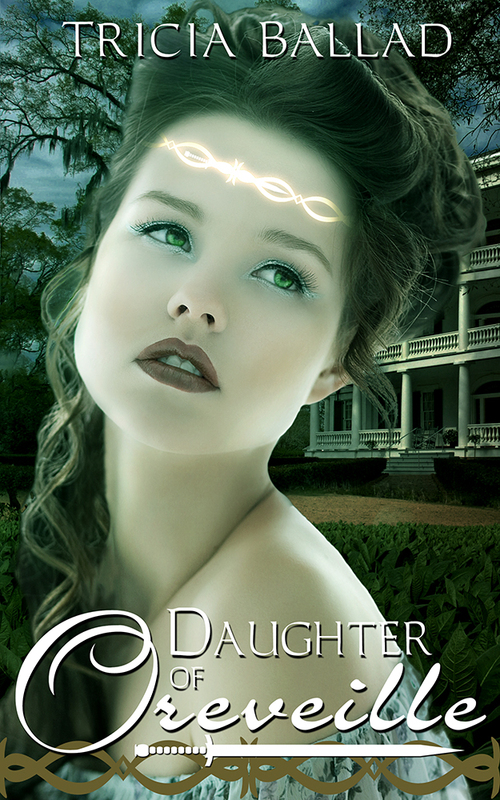 Megan let her mind wander back to the first opening feasts in the grand hall at Scardaugh. How different they must have been, before Corlaund became quite so civilized. She noticed this year, the speeches seemed much more strident than usual. Even meaningless toasts to the king’s health were delivered with the force of a dueling challenge. At least the speeches and toasts would only last as long as the meal. Once the final course was cleared away, everyone would drift across the corridor to the ballroom to dance, and try to work off the mountain of calories they just consumed. Megan glanced to the head table as her father, the Duke of Boderlund, stood to deliver his toast. Brian, nineteen and intensely handsome, sat just to the right of his father, Niall, King of Corlaund. Brian caught her eye and grinned, glancing toward the ballroom. Megan nodded slightly, unable to keep herself from smiling, despite her father’s dire warnings. Megan hadn’t been paying attention to exactly what he was warning the assembly against, but she had picked up that it had something to do with complaining or disloyalty or something. Megan took a bite of perfectly seasoned roast beef and let her mind wander to the ballroom, where she would spend the better half of the evening. It was well past 1:00 am by the time Megan finally returned to her room, bathed, and climbed into the ancient four-post bed. The castle had been renovated several times over the centuries, but she was glad that many of these pieces had remained the same, even if it meant having custom mattresses made. She tried to soothe herself to sleep, reliving the moments she had spent with Brian this evening, but somehow even he had seemed a little tense. She would try to talk to him about it tomorrow, if she could get a quiet moment. Tomorrow would be even more important than today – at noon, the assembled lords would carry out the ancient ceremony of fealty to the King. This year she would attend as well, and when her father knelt to swear loyalty to the King, Brian would step forward and offer Megan his hand. She would take his hand and step forward to stand beside him, and the betrothal they had whispered about for two years would be official. She took several deep breaths to calm herself. She had to keep her composure tomorrow, however excited she was. She only wished her betrothal didn’t mean another interminably long meal with the nobles. At least tomorrow night she would be seated next to Brian instead of halfway across the dining hall. Megan was still trying to find sleep when she heard a soft knock on her door. She climbed out of the enormous bed, pulled on a robe, and peeked into the hallway. Brian stood in her doorway with Ian MacDuff watching the hallway behind him. “What’s going on?” Megan asked, shaking the light sleep from her head. “Do you trust me?” The Crown Prince of Corlaund asked her. “I love you. Of course I trust you.” She answered without hesitation. Megan looked at MacDuff. She had known the man since she was a child, and not once had he so much as let his breakfast get cold over rumors of treason and enemies at the door. Yet here he was, pacing the hallway, while her soon-to-be betrothed lay their futures – perhaps even the future of the kingdom – at her feet. Brian smiled and kissed his bride-to-be, until the man-at-arms gruffly reminded them that time was not on their side. As the young couple left the palace that night, they gave little thought to what life would lie ahead.